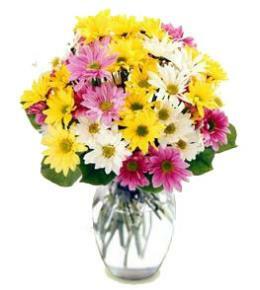 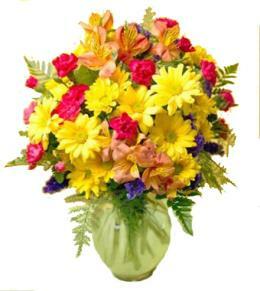 Your recipient will step into the sun with this unforgettable gift of flowers. 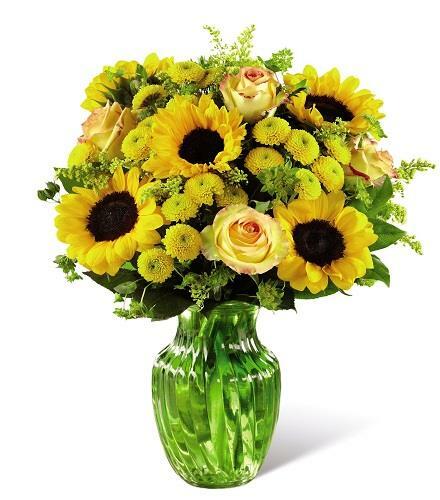 Sunflowers catch the eye with their alluring brown centers and bold yellow petals surrounded by yellow roses, yellow button poms, yellow solidago, bupleurum, and lush greens gorgeously arranged in a glass vase to make this bouquet pop with it's vibrant colors. 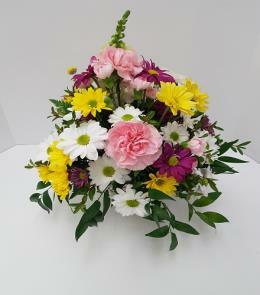 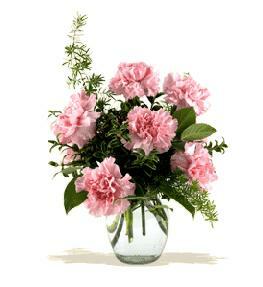 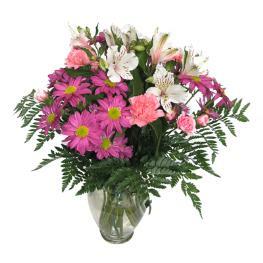 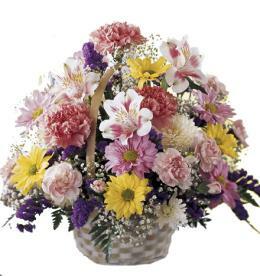 Full of energy and warmth, this flower arrangement is set to create that perfect gift.